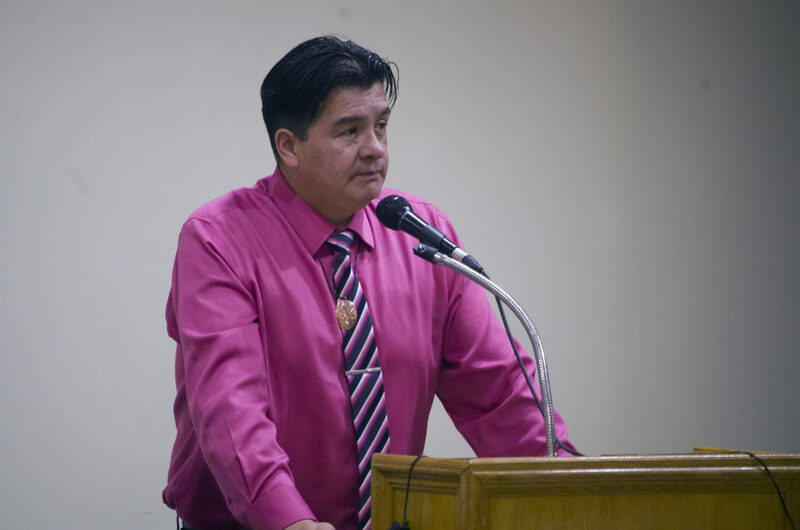 FSIN Chief Bobby Cameron wants to change the way northern communities talk about suicide, and it begins with stressing the hope instead of the despair. Cameron, who was in Prince Albert on Thursday to address the mayors and councillors from Northern Saskatchewan as part of the New North fall gathering, said there’s too much focus on the negative. Moving forward, he wants to see leaders talk about “hope and opportunity,” and not suicide. Instead of focusing on suicide all the time, Cameron wants more efforts directed into health and wellness programs. Those programs include sports and recreation, as well as traditional cultural programs like hunting, trapping and fishing. He said suicide is an issue that affects all communities in northern Saskatchewan, and he applauded them for doing the necessary work to help struggling youth. However, he added that the work is only beginning, and if northern communities want to be successful, they need to emphasize what’s working instead of focusing on what’s going wrong. Overall, he’s optimistic progress is being made. He cites a multi-million dollar mental wellness centre, currently under construction by the Lac La Ronge Indian Band, as evidence that things are improving. He just wants to see the pace pick up. Mental health wasn’t the only area Cameron took aim at during his speech. The FSIN chief also wants urged northern communities to get more involved in wildfire fighting, especially when it comes to lobbying against the provincial government’s “Let it Burn” policy. The policy reportedly instructed crews to only fight fires within a 20-km radium of a community. However, during the 2015 wildfire season the Ministry of Environment repeatedly denied such a policy existed. Cameron said the province’s strategy is flawed, regardless of what they want to call it. He said northern communities have a lot to offer when it comes to fighting fires, and he wants them to make their voices heard at the provincial and federal level.